I just finished an animation for Halloween. Maggie is designing a promotional emailer with a link to the animation. Rather than swipe a frame from the animation, she wanted me to create new art for the mailer. Several days ago, I bit the bullet and bought a Wacom Cintiq 12WX tablet. I've never been comfortable drawing with my Wacom Intuos 2. That disconnect between my hand and my computer screen drove me crazy. I have never gotten used to it. It's okay for many things--like paint-bucketing and making photos better--but not for drawing. Not for the way I twist and turn my tracing pads and watercolor paper while I work. When I'd try to do that with the Intuos, my lines looked like a 6-year old drew them. I nearly wore out Undo. I'm still getting used to the new Cintiq, but drawing directly on my art surface is a joy. Because of the thickness of the glass, there is a small disconnect between the tip of the pen and the drawn line that takes some getting used to. The tablet has an adjustment to compensate for that disconnect, but it ain't perfect. Nothing is perfect, not even my trusty Pelikan 120. And, needless to say, not me. So here's a preview of the art I came up with along with a screenshot of one of the animation frames that I used for reference. I drew the final line art in Corel Painter using my new Cintiq. I added the color swatches and photo background in Photoshop. 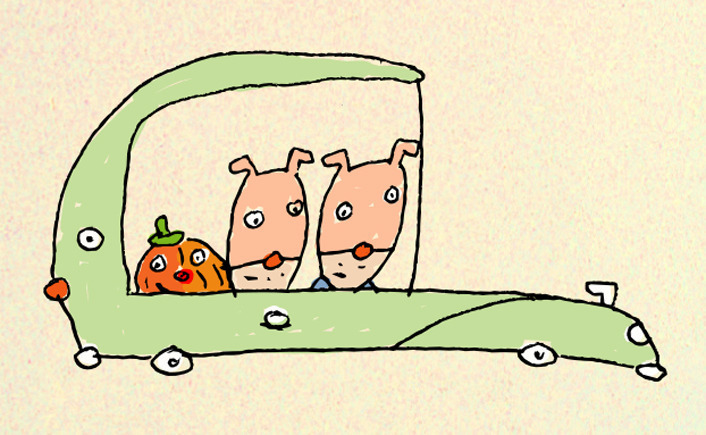 Needless to say, the animation, which we'll make available for viewing just before Halloween, is a bit strange. 30 seconds of oddness. Just right for all my Drawgerite friends. The frame I used from the animation to make my mailer art. 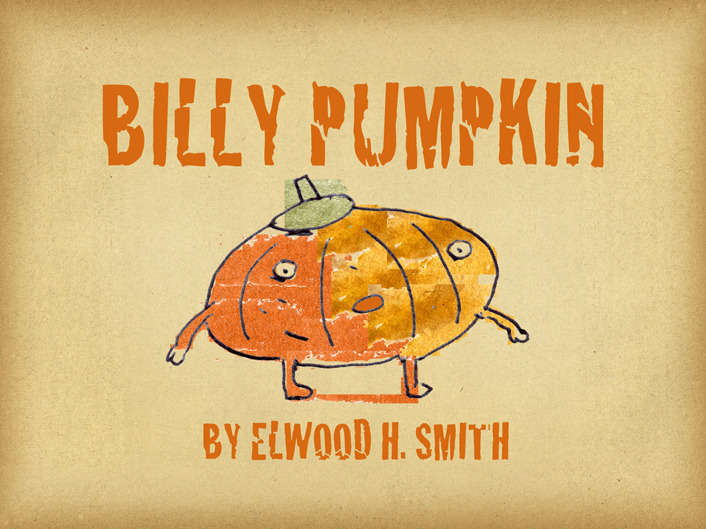 Okay, I put Billy Pumpkin up on YouTube. I hadn't thought this out--I just wanted to show off my lillustration done using my new Cintiq--and now I'm afraid your expectations have jumped up to a Pumpkin-Orange Alert level. It's merely a simple, little movie. 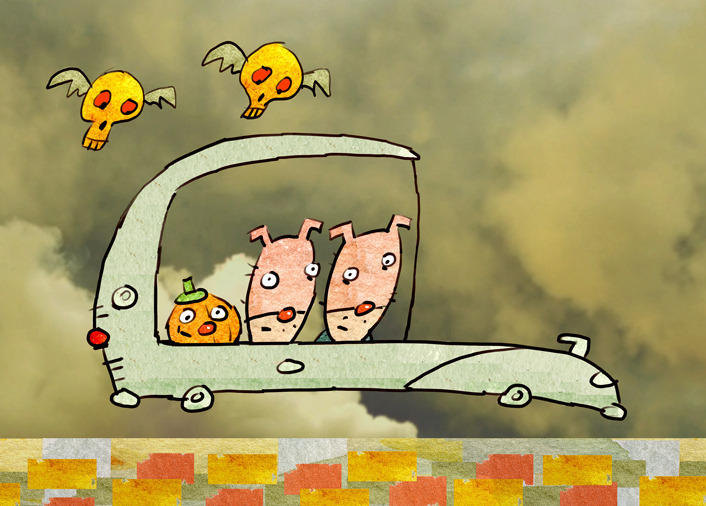 A brief 30 second clip of Elwood's weird world.